Queen + Adam Lambert only just opened the Oscars broadcast with a performance on Sunday night (February 24), but they'll already be returning to ABC for a new documentary this spring. Dubbed The Show Must Go On: The Queen + Adam Lambert Story, the film chronicles the band, beginning with Lambert's performance alongside Queen on American Idol in 2009. 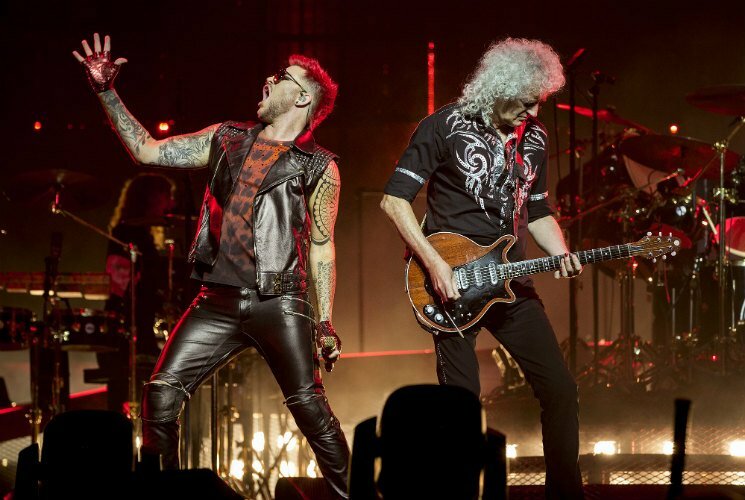 Following that collaboration, they started touring as Queen + Adam Lambert in 2011. The doc includes interviews with founding Queen members Brian May and Roger Taylor, Lambert's former American Idol judge Simon Cowell, and Bohemian Rhapsody star Rami Malek (who just took home the Best Actor Oscar for his portrayal of late Queen frontman Freddie Mercury). The Show Must Go On will air on ABC on April 29. Queen + Adam Lambert will embark on a North American tour this summer. See the upcoming dates here.